Using a facial oil daily is an excellent way to moisturise your skin without the need for emulsifier, thickener, or even fragrance if you prefer it that way. The lack of fillers means you only need a little which can go straight to work without clogging pores or upsetting troubled skin further. 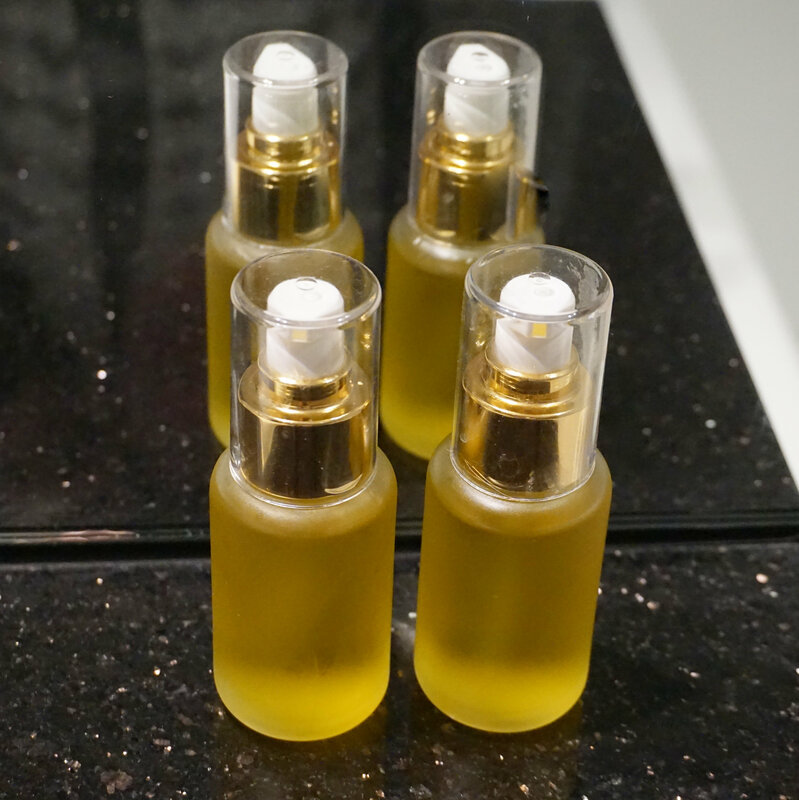 Facial oil can be easily blended using oils that suit you and your skin type. Two of the most popular choices for a base oil are argan oil and jojoba oil, because they are fabulous for pretty much any skin type from dry and aging skin through to oily and acne prone. Pretty much a one oil fits oil scenario for both. These can be blended with apricot kernel, avocado, sweet almond, grapeseed and even hemp to make a great base to your creation if you wish to use them. To these you may like to add some oils with a little more targeting for your particular skin like rosehip which can regenerate and firm and is great for dry, aging and normal skin. Carrot seed oil is good for any skin type but is used often because of its antioxidant qualities making it a great choice for aiding the healing of damaged skin. Borage oil is fabulous for most skin types but awesome with oily and acne troubled skin. Evening primrose is rich in GLA making it beneficial for those with eczema, psoriasis and acne, as well as any skin owner really. Should you wish to add essential oils to your mix a few drops of lavender, chamomile, rose, palmarosa, lemongrass, rose geranium, or rosemary may work for you. Don’t heavily scent a facial oil as it may become a bit much quite quickly. If you prefer an unscented product leaving the essential oil out is an option too. Facial oils work best on clean, still damp skin to add moisture to the oil component that will be absorbed into your facial tissues. You will only require a few drops to enliven your entire face. Feel free to blend any oils you feel suit your needs or follow this recipe if you would prefer to. This recipe makes up 50ml which should last for ages. Feel free to cut it back in size if you wish to use an amber bottle with dripper, or some other packaging option that suits you needs.